Until recent times, Georgia was a destination reserved for the most intrepid of travelers. However, Georgia has been attracting more and more people, who are drawn in by the stunning mountains, delicious cuisine and warm hospitality of the country. There is certainly no shortage of sites to check out, but you can start with our top 10 most beautiful Georgian towns. Georgia’s jewel of a capital city, Tbilisi still manages to retain a small-town feel in many of its charming neighborhoods, despite the fact that it’s the biggest city in Georgia. When you fly into Tbilisi, you won’t know where you are, in place or in time. Georgia is suspended between Europe and Asia in the incredibly diverse Caucasian region, and Tbilisi is a veritable showcase of Georgian culture, history, and architecture. Get lost wandering around the sometimes overwhelming bazroba, or market; go find all the best places for khachapuri and wine in the newly-redone Old Town, hike up to the Narikala Fortress or visit Mother Georgia to get a beautiful view down onto the city. Inhabited since the Bronze Age, Telavi is an important place for historians, as it has so many historical monuments preserved from so many different eras. Telavi, now the de-facto capital of the Eastern region of Kakheti, spent many centuries as a very important city in the whole Caucasian region. It was home to King Erekle II, who built it into an important political and cultural center in the 18th century, and now it’s still possible to visit his palace. Aside from the historical buildings, Telavi borders the Alazani Valley, where much of the famous Georgian wine comes from, and offers a stunning view of the Greater Caucasus Mountains. Stepantsminda, named after a Georgian Orthodox monk who once built a hermitage in the area, is a true mountain fairytale. Nestled into the Greater Caucasus, with the only road to the South barely accessible in the winter months, it is a testament to human determination. Stepantsminda’s most well-known monument is the Gergeti Trinity Church, which is located on the mountain directly overlooking the town. As you hike up to it, a tough but worthwhile trek, you can imagine the work that went into building a church in such a place. Once you get there, you’ll be rewarded with mountain air fresher than you can imagine and a view down onto Stepantsminda and out across the gargantuan mountains surrounding you. It is impossible to overstate either Mtskheta’s importance to Georgia or its overall charm and beauty. Located at the confluence of two rivers, Mtskheta from above is stunning – a possible reason why it has been inhabited since at least 1000 BC, making it one of the oldest continuously inhabited cities in the world. It was also a site of early Christian activity in Georgia, which was one of the first countries in the world to accept Christianity as their religion. It is now the cener of the Georgian Orthodox Church, and the Svetitskoveli Church is the most important monument of that religion. Especially since the recent renovation of the old town, it is an excellent place to see old Georgian architecture at its finest. This is Georgia’s ultimate seaside resort – those looking for the finer things in life, or just a simple summer escape, will have no problem finding such joys in Batumi. Take a stroll along the newly built Boardwalk, and enjoy the variety of sculptures lining the Black Sea’s Stoney beaches. You’ll also see the colorful buildings and the palm trees, and there’s no shortage of luxury sea resorts. If you’re ready for an adventure, try a Black Sea sand scrub and be prepared to have the smoothest skin you’ve ever had. Borjomi is known throughout the former-Soviet world as the source of Borjomi mineral water, a salty panacea (or so the Georgians say) for everything from a cold to a hangover. There is a small resort built up around the spring, where you can try the water for yourself straight from the source. It has a salty, sour, sulphuric taste, but even if salty water isn’t something you relish, you’ll love the verdant surroundings of the lush forest and the rushing creeks that run through them. Borjomi is also a well-loved national park, so it’s a great place to come and focus on your health and the beautiful landscape surrounding you. 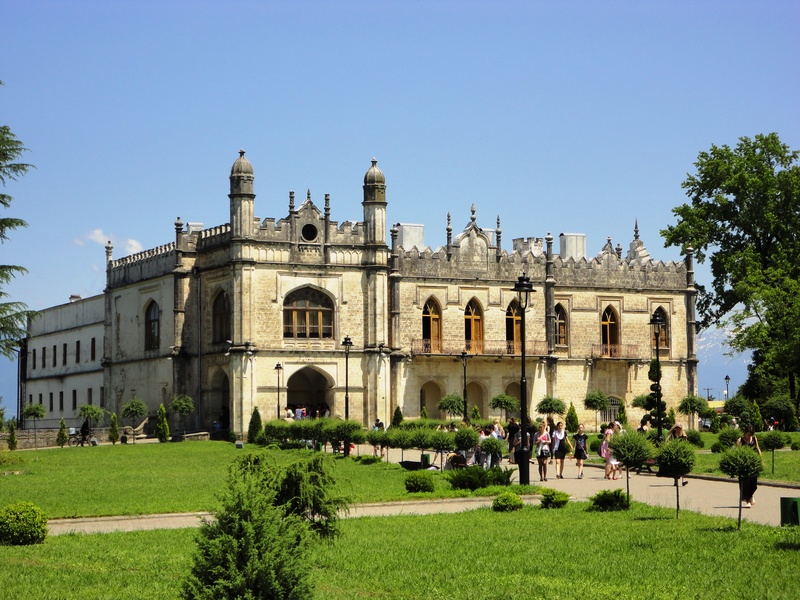 Located in the north west of the country, Zugdidi is where the royal history of Mingrelia meets the rugged Georgian way of life. The former Mingrelian capital was home to the Mingrelian royal family, and two of their palaces can be found in this charming city in the foothills of the Caucasus. A Dadiani price married Napoleon Bonaparte’s sister, so history buffs will be thrilled to find one Napoleon’s death masks at the Dadiani palace – only three of these were made. For adventure seekers, take the time to explore the surrounding villages, where you can still feel the ghosts and witness the scars of the 2008 conflict. 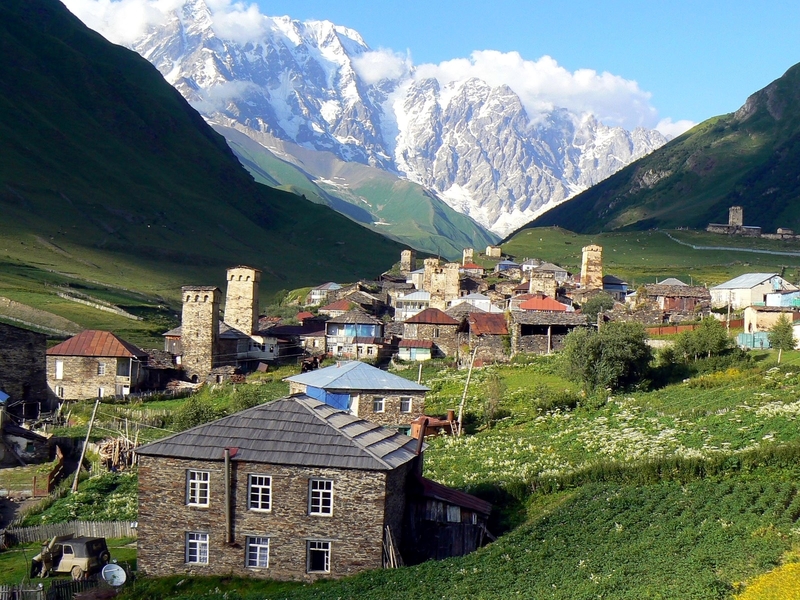 Ushguli, a collection of villages high in the Svaneti region of Georgia, has enough cultural significance to be on the UNESCO World Heritage List while also being extremely difficult to reach. It is connected to Mestia, and only about 200 people live there. However, it boasts the best-preserved collection of Svan towers in the entire region, and of course the surrounding mountains, offer stunning views to any nature-lover. One of the best ways to get there is by horse from Mestia, which allows you to really delve into the spirit of a region that has remained comparatively cut off from the rest of the world.